With the objective of continuing to increase attendance at Camp Nou, the Board of Directors has approved new incentives for the Seient Lliure model, to be applied immediately, coinciding with the match between FC Barcelona and Sevilla on Saturday, October 20. Taking advantage international break, a evaluation of the new Seient Lliure model approved for this season has been carried out. 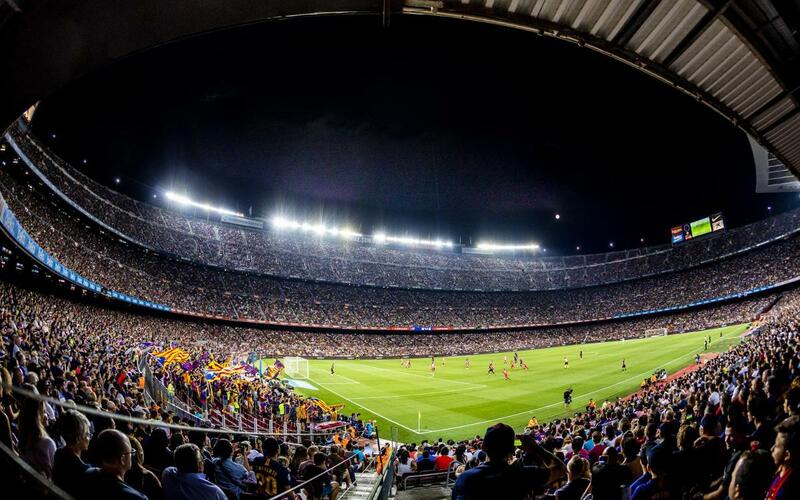 In the first several games played at the Camp Nou, average attendance increased by around 9%. This percentage is broken down by a 4% improvement in attendance by member season ticket holders and a 14% improvement in the sale of tickets. At the same time, in this period, the advance notice with which members have released their seats has doubled. However, the average number of member season ticket holders who neither attend a match nor releas their seat is still approximately 20% for each match. With the aim of taking further steps to improve attendance at Camp Nou, the Board approved that, as of now, the amount charged per released seat will be linked to the seat’s public retail price, and not the price paid by the member season ticket holder. The member season ticket holders will receive 50% of the price, once VAT and service charges have been deducted. The remaining parts of the Seient Lliure program will be maintained as is for this season. Those member season ticket holders who release their seats more than 20 days in advance of a given match, besides guaranteeing the amount stipulated for their seat, will continue to enjoy a 20% bonus added to the amount settled. With respect to all those member season ticket holders who release their seat more than 10 days in advance, the guaranteed payment shall be maintained, whether sold or not their seat is sold. Member season ticket holders who release their seat after these deadlines will only receive the amount that corresponds to them if their seat is sold. Settlements will only be made to a special account, which will accumulate all Seient Lliure payments until the end of the season. The resulting amount will be deducted from the cost of the member’s season tickets for the following season. The member season ticket holder is limited in the amount they may receive through the use of Seient Lliure, and may accumulate up to a maximum of 95% of the annual cost of the their season tickets. In other news, the Club, as announced at the time, continues to collaborate with the police in the investigation initiated by the Tax Office relative to fraud at the last Clásico played at the Camp Nou. The purpose of this procedure is to put a stop to the organised networks of ticket touts. The Club has also been notified today of the verdict from Court 21 of Barcelona, on the appeal for precautionary measures filed by 525 FC Barcelona members who were sanctioned by the Club's Discipline Committee following the aforesaid events. In its resolution, the Court dismisses the appeal by the members, because it considers that the requirements needed to cancel the penalty imposed by the Club have not been met. The Club hereby issues a reminder that it has offered non season ticket holding members, in the form of free tickets, season tickets that have been temporarily suspended as a result of these sanctions. The 2,818 seats corresponding to suspended season tickets are offered free of charge to all non season ticket holding members over 14 years of age. Those members interested in receiving these tickets must apply for them before each match. Should demand exceed the number of tickets offered, a draw will be held among all the applicants. Invitations will be allocated randomly, using a computerised system. These tickets carry the name of the bearer, and hence are personal and non-transferable. Members who do not make use of their free tickets without issuing prior notice shall not be able to request any more for the remainder of this season. The number of tickets available to these members will gradually be reduced as the suspension periods of suspended members expire.